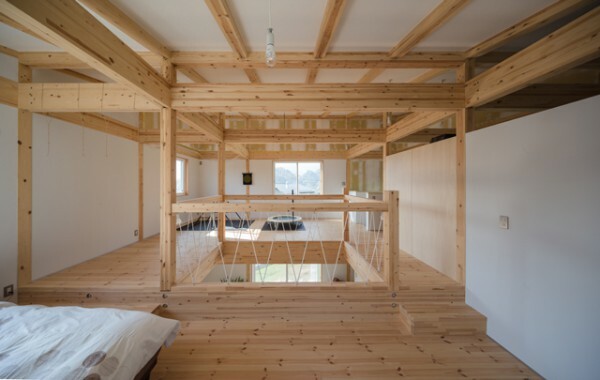 At the MAKE HOUSE exhibition hosted in 2014 by NCN, developers of the SE building method (timber frame structure system building method), we proposed the concept of “Opened House” under the theme of breaking down this building method into its parts. By breaking down components into parts and by simplifying the construction method through metal fixtures, it is easier to reveal the structural design, easier for its users to understand the structure of the building, and it allows us to open up the technical domain of house-building. 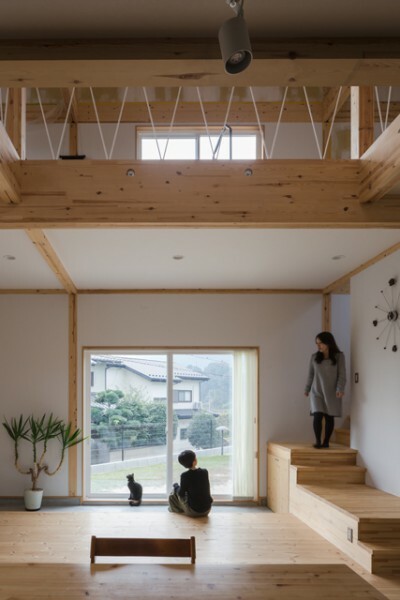 Additionally, a simple framework and construction method make future extensions and structural alterations easier and allows dwellers to freely rearrange rooms as well as the boundaries of the house, which in turn brings about diverse ways of living. 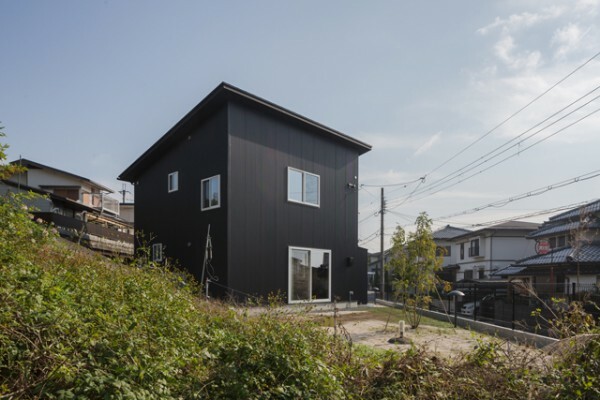 For example, it is possible to build a house opened to the city with the first floor as a gallery and classroom. We planned a house for a family of four for a client who understood our concept of an “Opened House”. 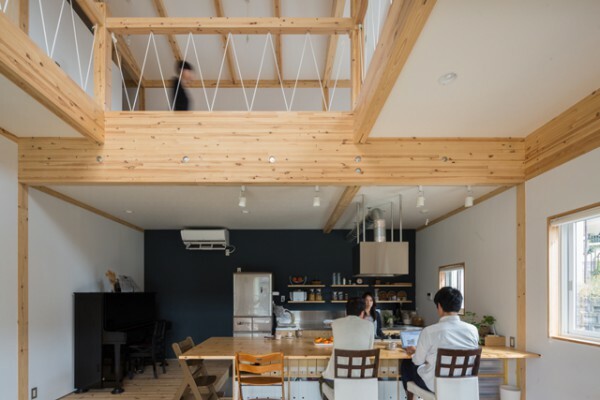 The site is on sloping land created in the shape of a tiered gallery that commands a view of Lake Biwa, and deliverables included a large kitchen to regularly carry out cooking classes as well as a unified space to loosely connect the atmosphere. 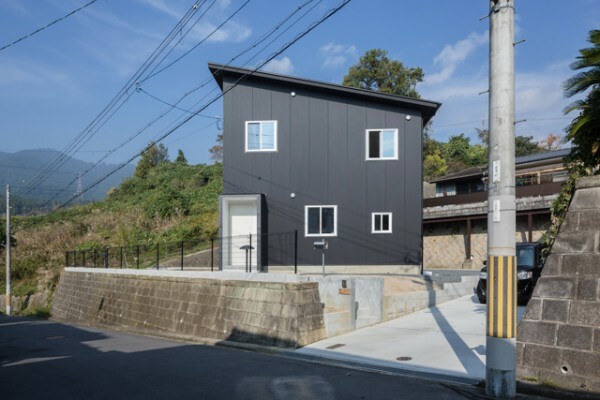 To ensure a view that avoided neighboring houses, we arranged it at an angle within the site. 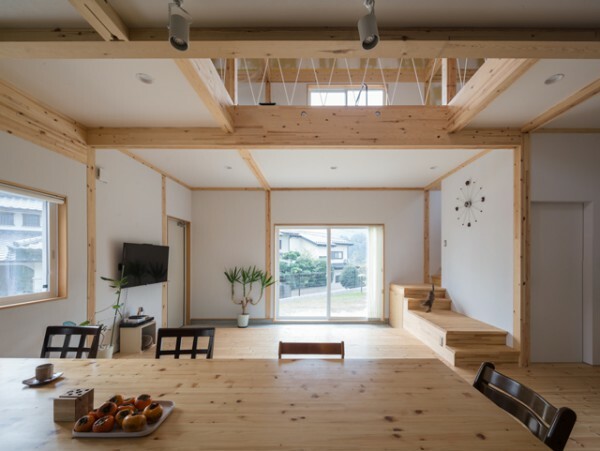 The first floor is a large, one room space with surrounding wet area centered on a large dining table that expands the counter of the island kitchen, as well as a living room connected to the wide pit space. 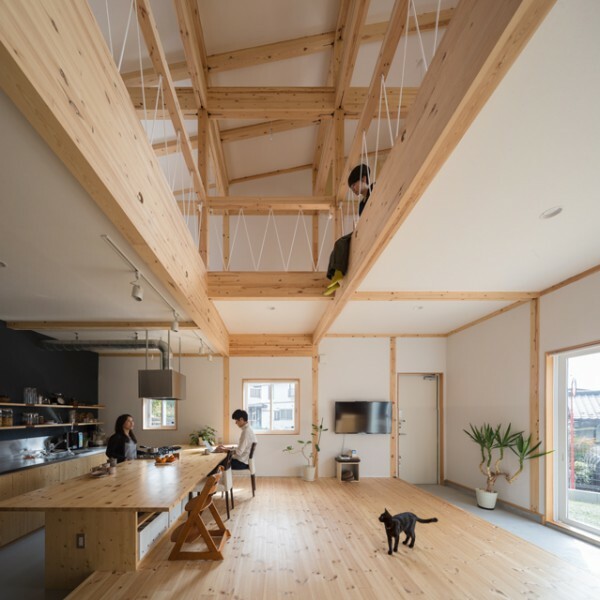 The second floor is connected through the central atrium, and it maintains a skip floor-like layout thanks to its elevated floor which uses a lattice-shaped grid construction. 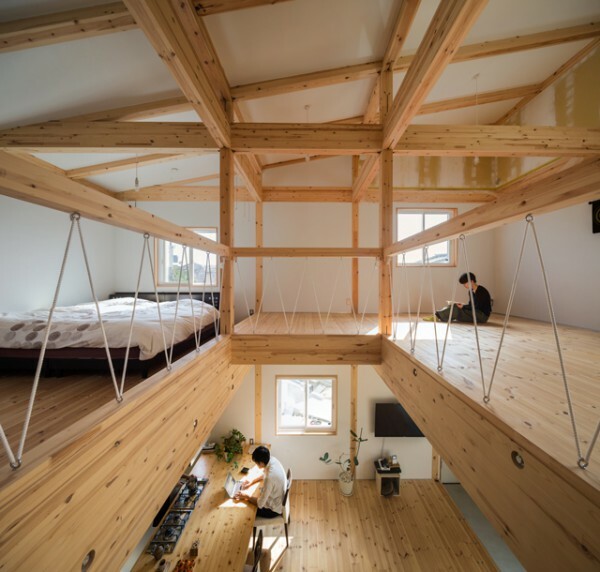 The bedroom, children’s room, and future blank spaces are loosely partitioned by the elevated floor, and it is one connected space just like the first floor. Parts were divided into basic parts, like pillars / beams, used to build the skeleton and additional parts, like smaller beams, used to set the floors. 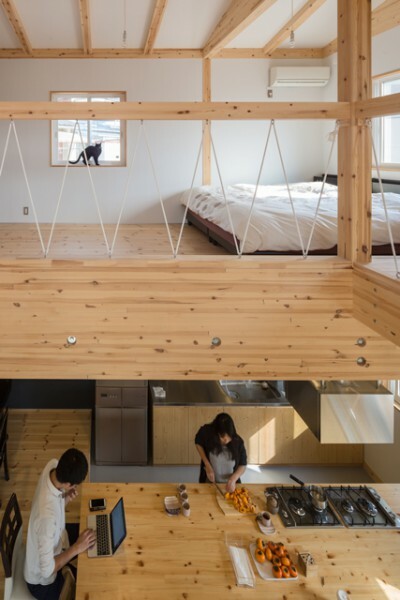 Just like the “Opened House” we proposed at the MAKE HOUSE exhibition, we made the act of building a house itself open and, through cooking classes, made the house open to the city by adopting this open system that adapts itself to changes in lifestyle. Thus the untouched structure is left behind as a future blank space that openly accomodates its occupants.